Career Opportunities in the Accounting Profession (COAP) students. Learn more about COAP. What's New at the Society? Introducing a New Member Benefit! 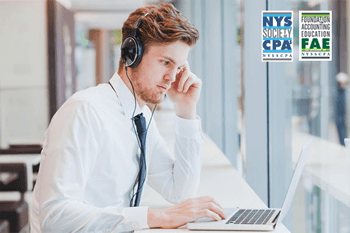 NYSSCPA members now have free unlimited access to over 150 CPE courses in our Self Study Course Catalog. "I enjoy the online CPE because it allows for me to stay up-to-date with pertinent accounting issues while studying on my own time. I can pause the sessions and resume at my convenience. I feel the CPE is highly relevant as a majority of the sessions have lecturers who are experts in their field. The online interface that NYSSCPA utilizes is user friendly and allows me to easily sort by topic." 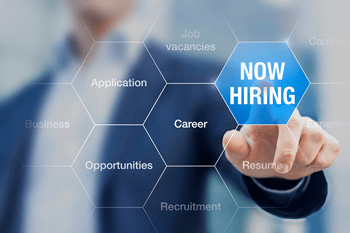 Whether you're an employer looking for your next great hire, or a job seeker looking for your next great opportunity, the NYSSCPA Career Center is here to assist you. The cost of financial ignorance is high. 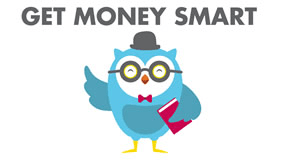 Check out these materials and consider attending one of our free events to learn more about taxes, credit, debt, budgeting, the basics of investing and learning activities for children. Stumped? Get CPA expertise through the technical hotline! email your inquires to technical@nysscpa.org. Managers at not-for-profit organizations are increasingly under as much scrutiny as corporate management at for-profit enterprises. Donors are tying their support to operational efficiency. Fundraising success (or failure) is a public, and widely dissected, metric. The impact the organization makes and its success in achieving its mission shape the public's perception of the entity and mold its prospective sustainability. While getting paid certainly is nice, and likely is the impetus behind a great number of jobs, when it comes to actual pride in one's work, it's actually the last thing people think about, compared to a number of other factors. Many times, when someone both owes back payments on student loans and gets a tax refund, the federal government will simply apply the refund amount to the debt. CNBC is reporting that the amount of money seized this way from student loan borrowers has increased by $1 billion since 2016. A survey of 3,000 soon-to-be-college-graduates has found that the main thing the class of 2019 wants in an employer is a lot of room to grow. Despite making up only 4.4 percent of the global population, the United States accounts for 41.7 percent of all health care spending worldwide. 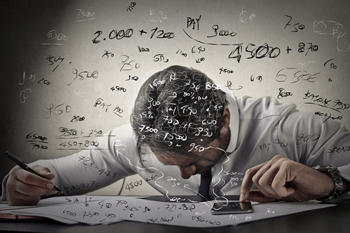 The Financial Accounting Standards Board (FASB) released a bevy of new, highly targeted and specific, amendments to its credit loss standard. The Trump Administration promised federal tax reform legislation within 100 days of the president's first term. In an effort to keep TaxStringer readers apprised of federal tax reform developments, the editors have compiled the following list of articles from trustworthy sources that will be updated on a regular basis. With the 2019 tax filing season well underway, most CPAs and tax professionals probably have a good awareness of the new tax provisions in the 2017 Tax Cuts and Jobs Act (TCJA). Whether they have a good understanding of them is a whole different story. There’s no question that numerous provisions of the TCJA are mind-numbingly complex. On May 31, 2018, Connecticut enacted Public Act 18-49, establishing the Pass-Through Entity Tax. As has been written about in this publication and elsewhere, the PET, as it’s known, responds to the $10,000 limitation on an individual’s federal state and local tax (SALT) following passage of the 2017 Tax Cuts and Jobs Act (TCJA). On March 13, 2018, the IRS announced that it would end its long-running Offshore Voluntary Disclosure Program (“OVDP”) on September 28, 2018. With the closure of one of the IRS’s most successful compliance enforcement programs, practitioners were anxious for the IRS to announce a new program to take its place. Ever since the Tax Cuts and Jobs Act (TCJA) of 2017 created “Opportunity Zones,” there has been a lot of excitement about this new incentive to invest in distressed areas. Actual investment in qualified opportunity funds (QOFs) had slowed while tax professionals awaited regulations spelling out the details.